Meredith Artley is a senior vice president and editor-in-chief of CNN Digital Worldwide, where she oversees the creation, programming and publishing of content across all CNN Digital properties including CNN.com, CNNi.com, CNN Politics and CNNMoney across mobile, social, desktop and a variety of emerging platforms and products. She leads a global team of more than 250 talented reporters, producers and editors to fuel one the world’s top digital brands. Under Meredith’s leadership, CNN Digital has become #1 in unique users across mobile and desktop, #1 in video, and the most followed and fanned news organization on social. 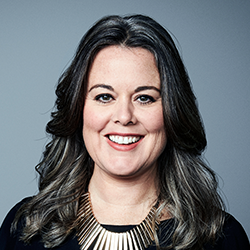 Before joining CNN and moving to Atlanta, Meredith led digital editorial efforts, strategies and teams for the Los Angeles Times, the Paris-based International Herald Tribune and The New York Times. She is the former president of the board for the Online News Association, a graduate of the University of Missouri, the wife of an ex-journalist and the mother of a rambunctious little boy.